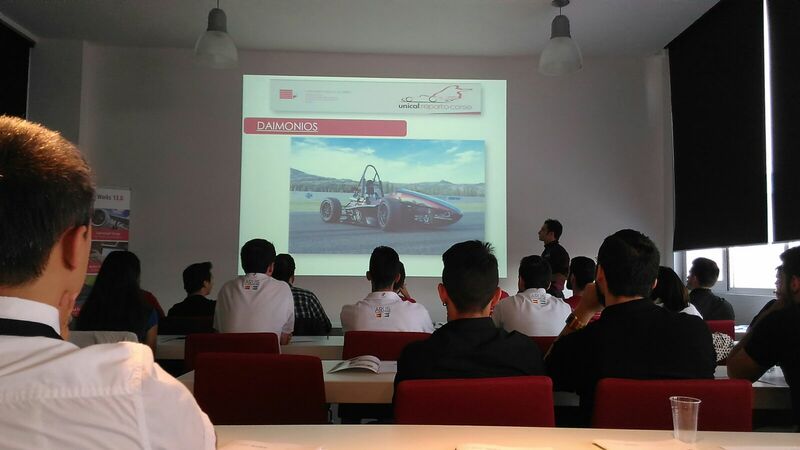 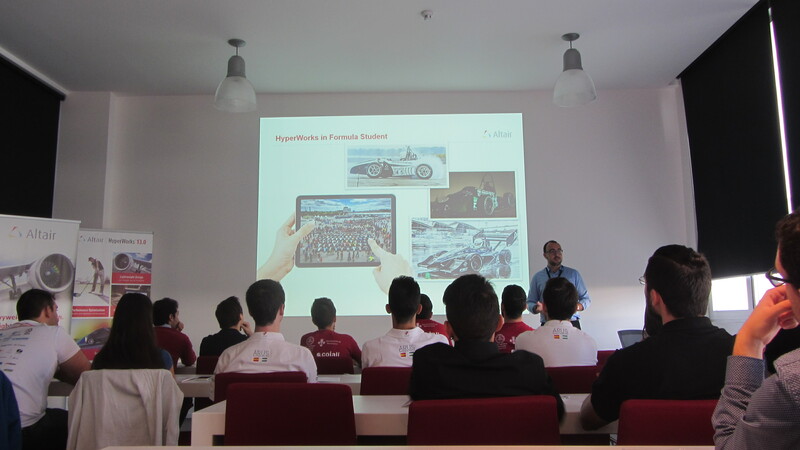 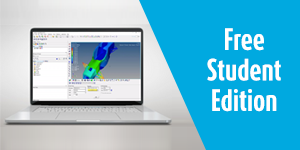 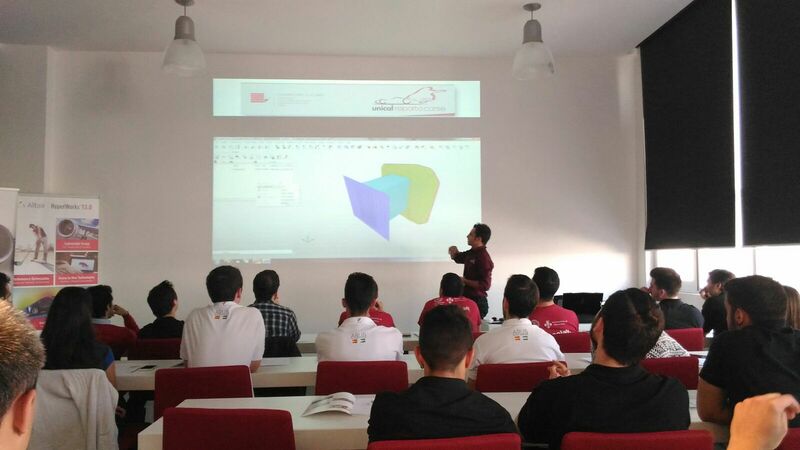 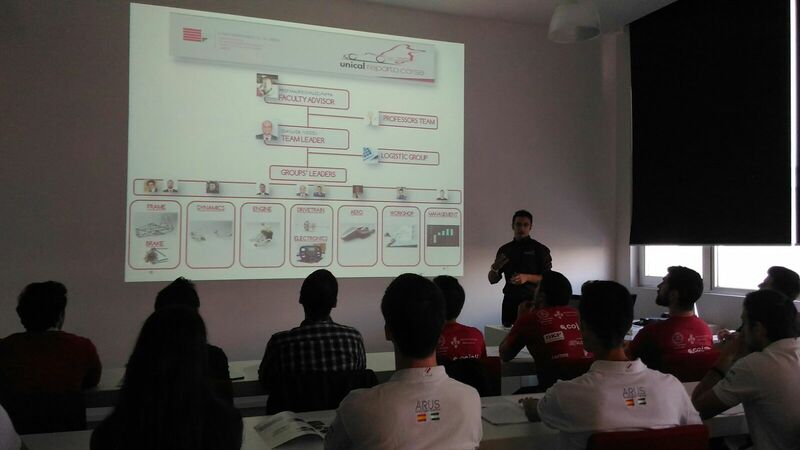 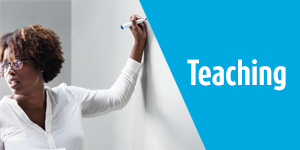 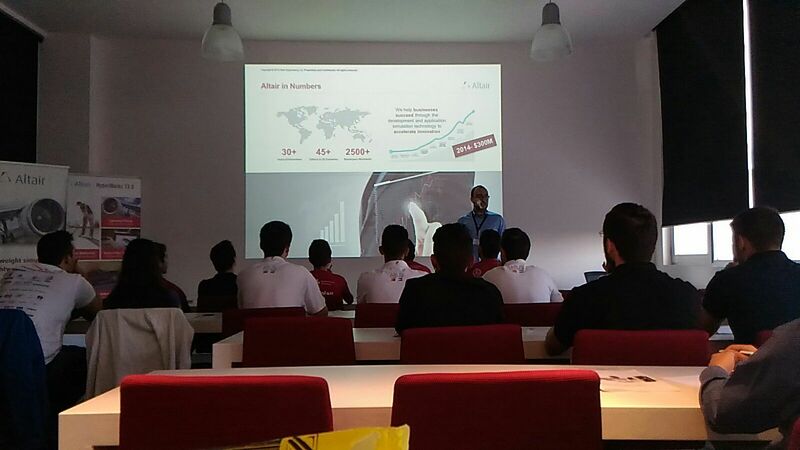 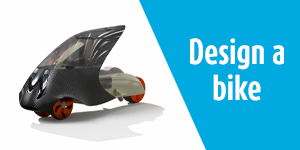 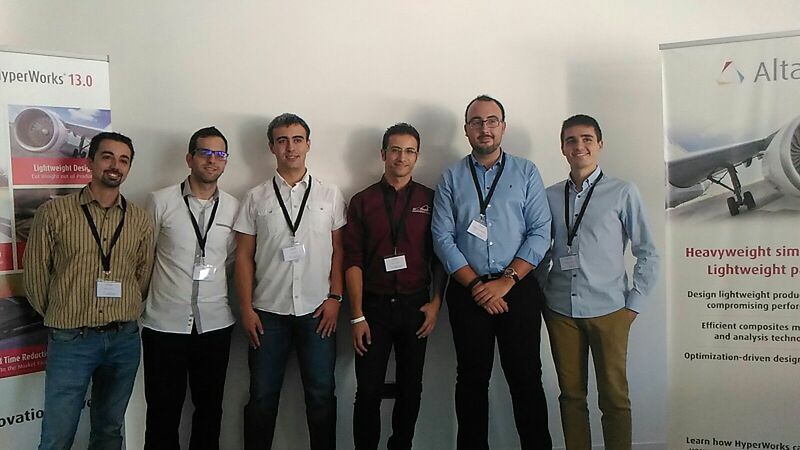 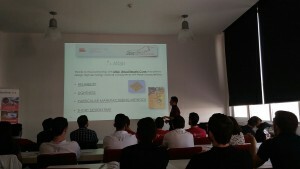 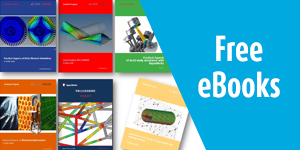 Last 7th of October we hold in our spanish office the "Jornada tematica Formula Student" event: there, an italian team member of the Unical Reparto Corse Formula Student Team (from Università della Calabria, Italy) presented how they benefit using HyperWorks to design their car. 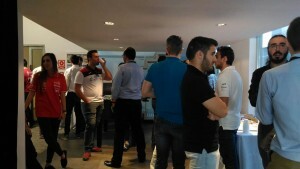 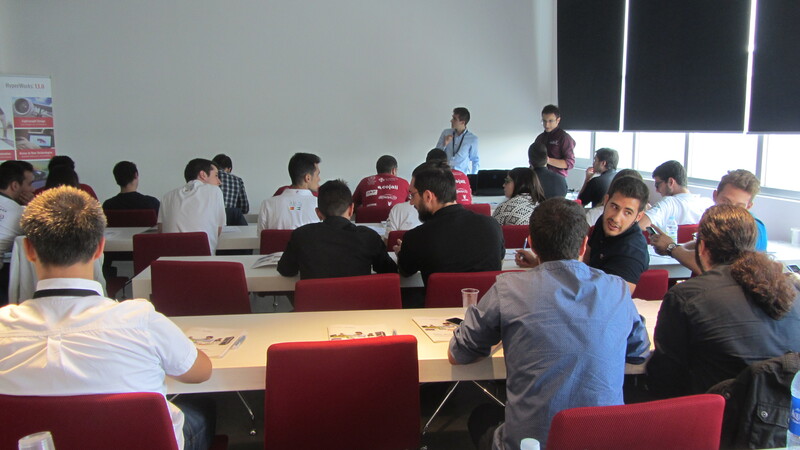 As Salvatore Maffei told us, for him it was a great opportunity because he could interact with several spanish team! 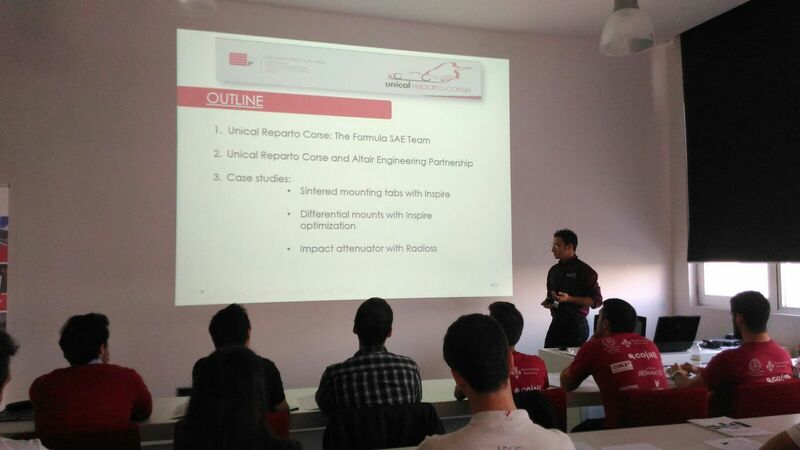 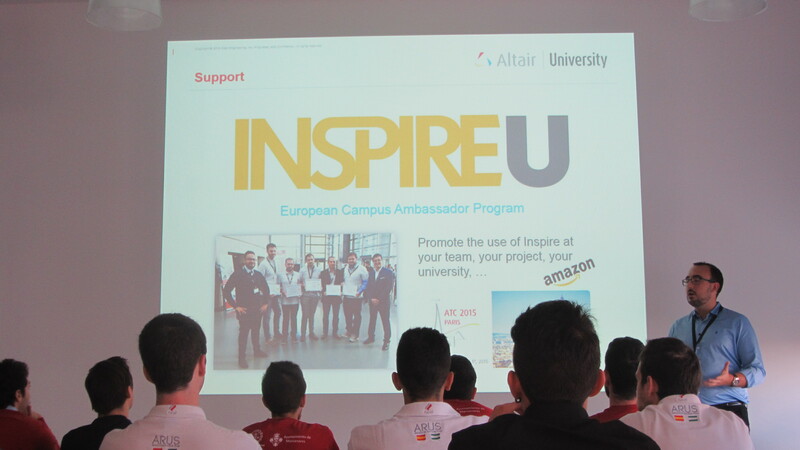 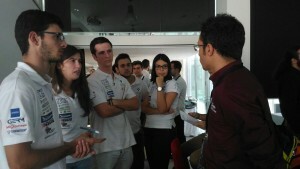 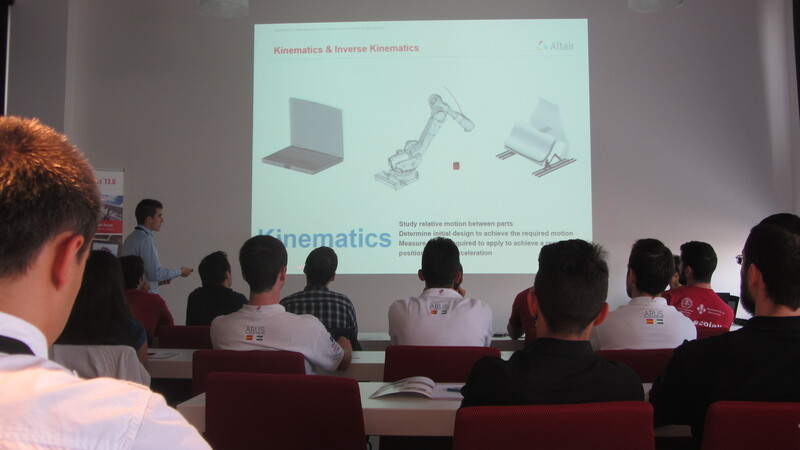 Thanks to the Altair Spain Team for organizing such an amazing Formula Student event there! 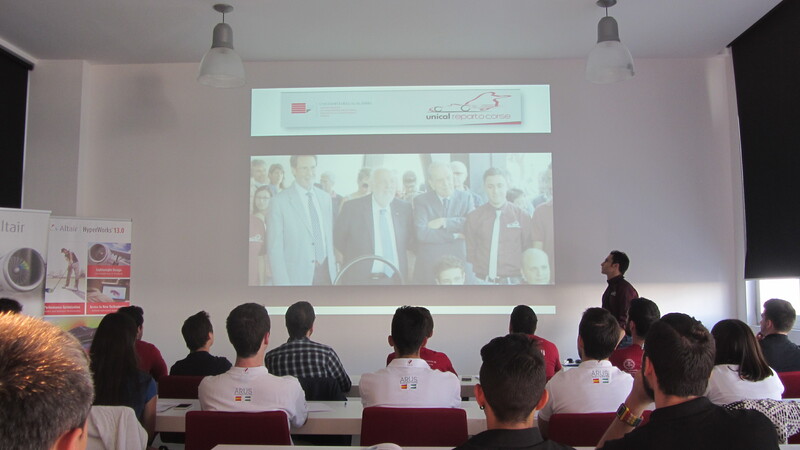 A huge THANKS goes to the Unical Reparto Corse Faculty advisor Maurizio Muzzupappa and to Leonardo Muscolino. 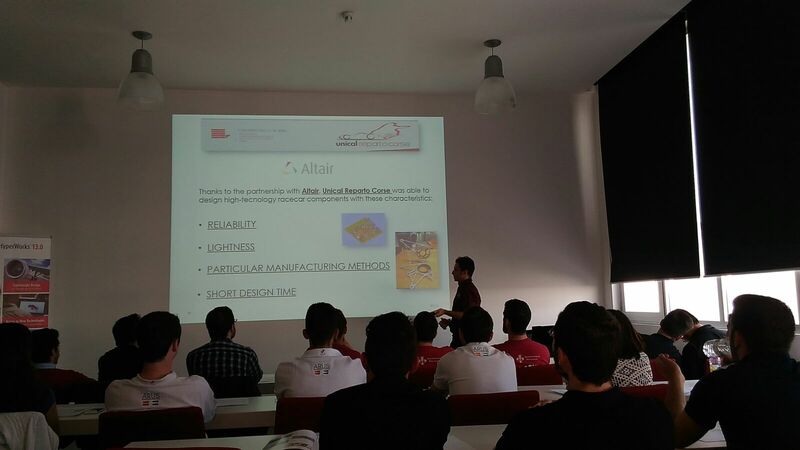 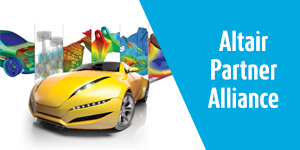 This is Altair: innovation technology, support, high results, challenges, and ... HUMAN RELATIONSHIPS!! Enjoy the photos of the event!